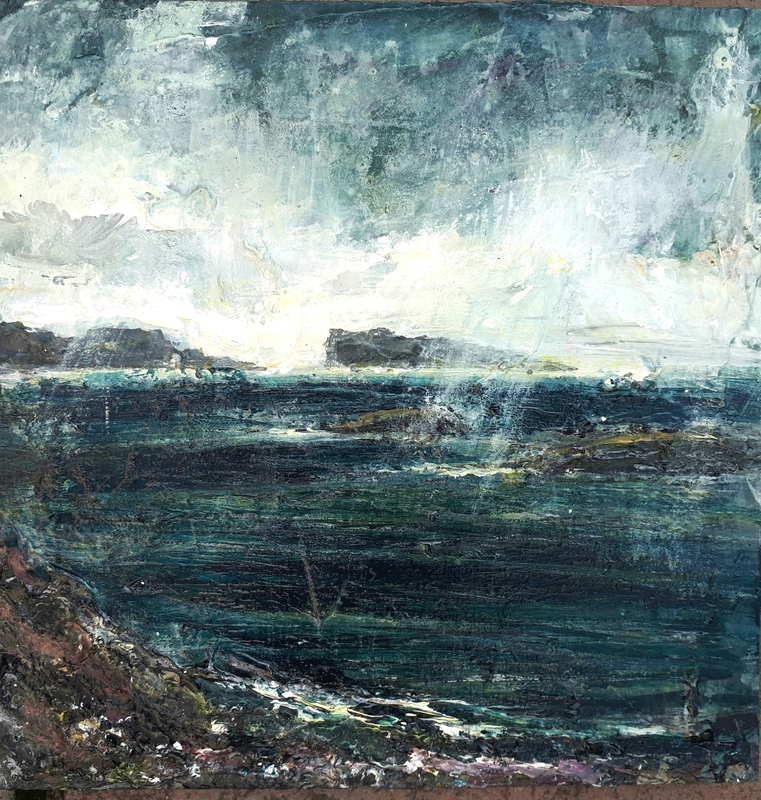 My two latest paintings of Iona (below) will be included in the new Autumn group show at the Resipole Gallery on the beautiful Ardnamurchan peninsula on the west coast of Scotland. 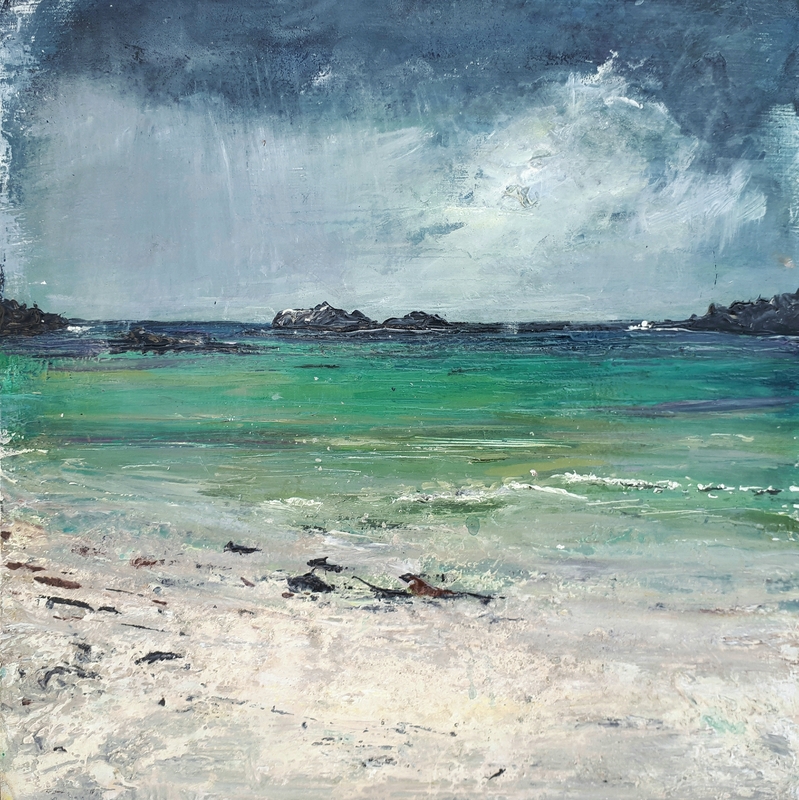 ‘Storm, Goirtean Beag beach, West Coast of Iona’. Mixed media on 1px10″ wood panel. Rose Strang, August 2018. 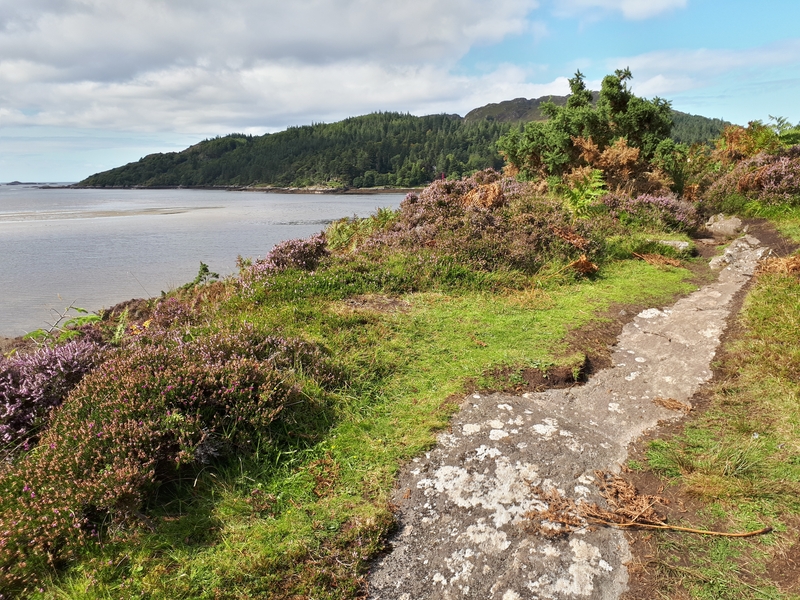 I could have posted the paintings but decided instead to deliver them in person, not just because Ardnamurchan is one of the most beautiful and unspoilt landscapes of Scotland, but also to meet gallery owner Andrew Sinclair. I think it’s always good to meet in person and, if the paintings do well, I hope to show more there. 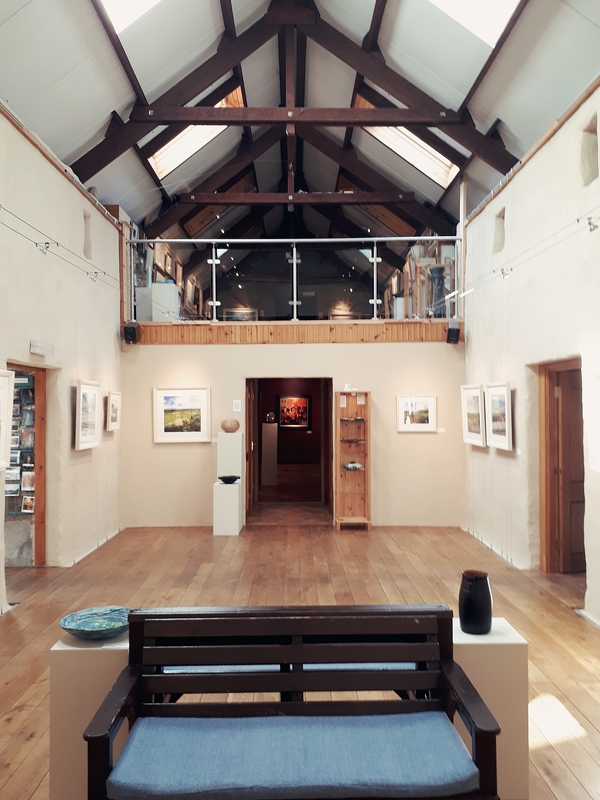 The Resipole Gallery was launched in 2004 by Andrew Sinclair on his return to Ardnamurchan after his graduation from Goldsmith’s Art College in London. 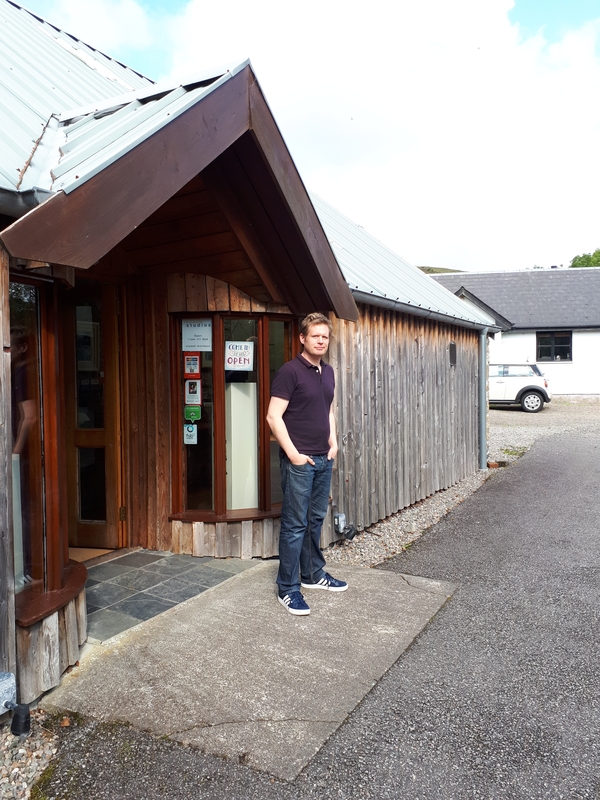 He and his family are from the area (they own a farm there) and the gallery was formerly an agricultural byre which he renovated over two years. I enjoyed chatting away with Andrew, my friend Sabine and I were impressed with his energy, vision and resourcefulness! It’s a beautifully designed space which shows a range of artists from lesser-known to renowned (they recently held an excellent exhibition of works by Jon Schueler), the gallery also provides studio space for local artists. The last time I was in Ardnamurchan was around 1992. The landscape hasn’t changed much, but the world has become a busier place – and I suppose we’re all feeling the effects of this (not least in Edinburgh with the August festival and festival fringe) so I felt mixed about the clearly very wealthy new settlers in the area. You do meet local or indigenous people here and there – most who have remained have adapted to change by branching out into the tourist industry or similar. The houses of the newer settlers are immaculate – grand designs-esque, but there’s a sense of ‘keep out’, an excluding atmosphere perhaps. I suppose this change is inevitable. Former communities with little money had to rely on each other during the long hard winters. Some places in Scotland retain this idea of community – places like Knoydart, Eigg or Achiltibuie for example. It’s not just that it feels different, it is different and I’m certainly not alone in believing that this approach – sharing resources, creating sustainable energy systems for all to use, community buy-outs and so on – is the only way forward. 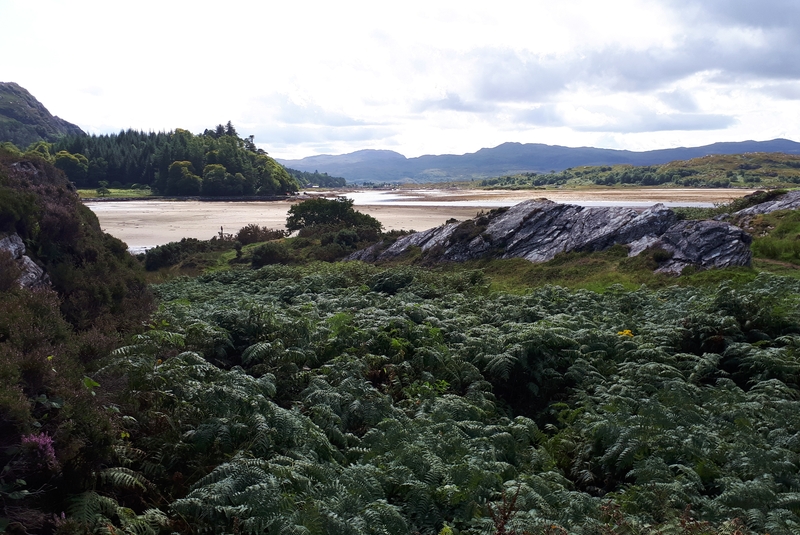 Similarly to Iona though, the landscape remains the same, for now at least given what appears to be inexorable climate change. 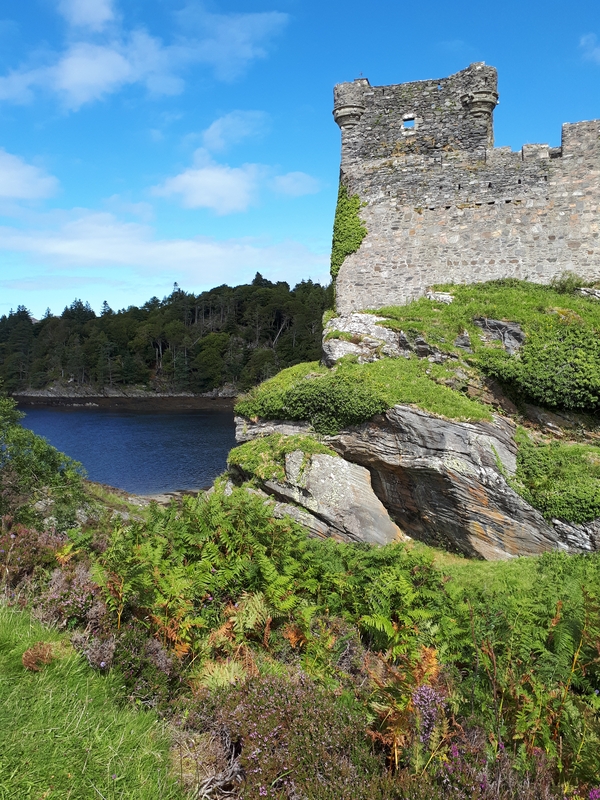 Visiting Castle Tioram again, I felt deeply moved by the landscape – it’s difficult to put into words what felt so moving, except the obvious fact that it’s beautiful and as yet relatively unspoilt. 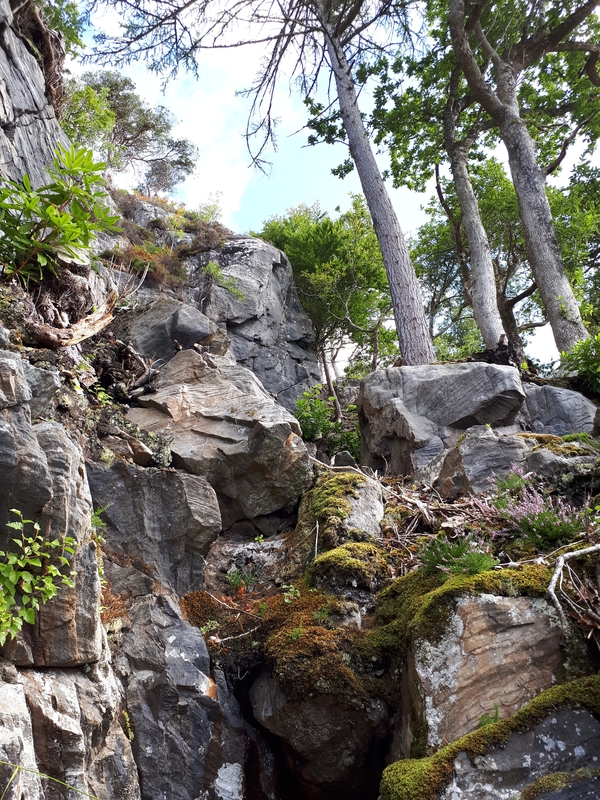 – you breathe in the most wonderful scent of spicy ferns, the honey of heather, pine trees and salty seaweed. I will definitely be going back there to paint next year. 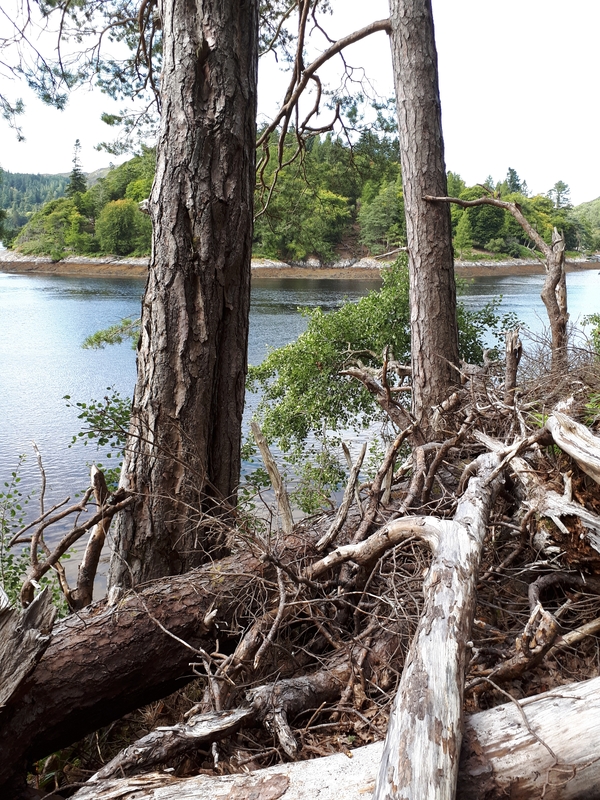 On the subject of unspoilt landscape, this is a link to one of my favourite documentaries, about the history of Scotland’s trees, presented by the excellent Dr Ian Stewart. (I shared this in a previous post some time ago but it’s worth sharing again!) .. 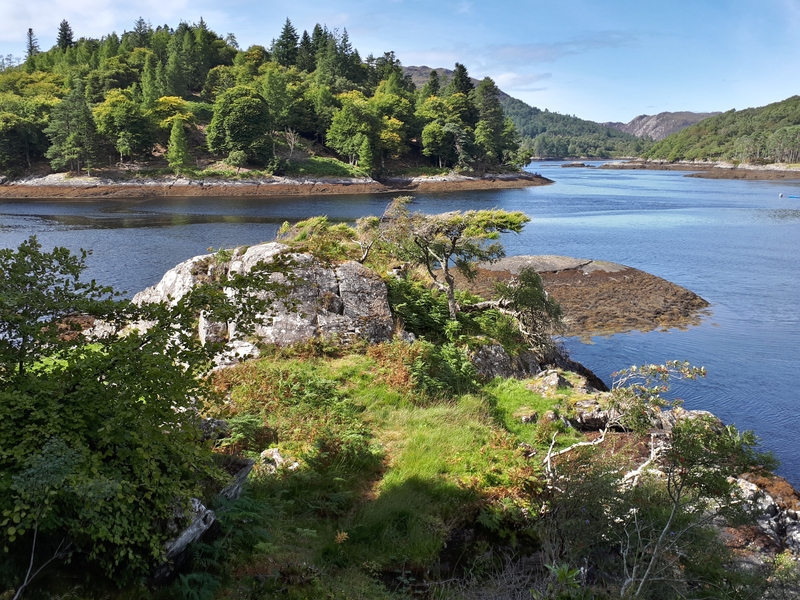 This entry was posted in Uncategorized and tagged ardnamurchan on August 28, 2018 by rosestrang.